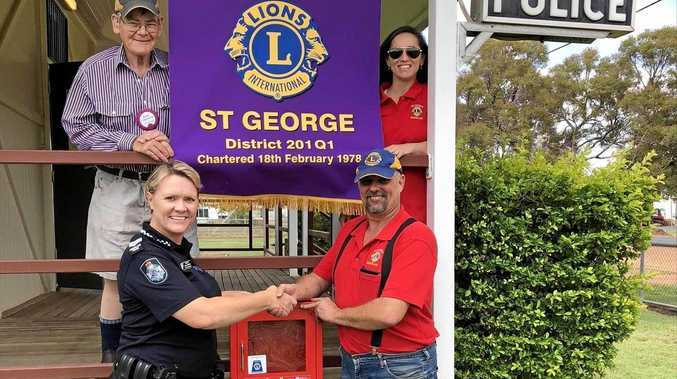 ST GEORGE Lions Club has provided a helping hand to the Dirranbandi community with the donation of a defibrillator to be housed at the local police station. Funds from the club and an Australian Lions Foundation grant helped purchase the device, which was presented to Dirranbandi Police Officer-In-Charge Sergeant Shelly Robinson by St George Lions Club president Calum Carson on Tuesday. The St George Lions Club received a $1300 grant from the ALF and chipped in the remainder to make the $2600 purchase price. "The club had raised money from manning the Dirranbandi Show gates earlier this year and we thought purchasing the defibrillator would be a great way to support the Dirranbandi community,” Mr Carson said. Sgt Robinson thanked the St George Lions Club and Australian Lions Foundation for their support. 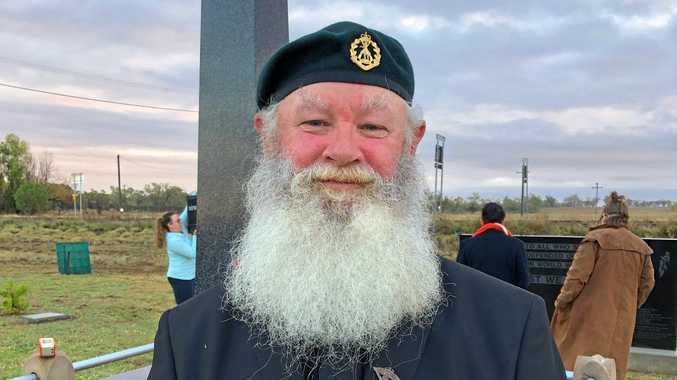 "The defibrillator will provide the community with additional vital emergency medical support when an ambulance was not available,” Sgt Robinson said. The Australian Lions Foundation is supported by the 1400 Lions Clubs in Australia.